AMMONNEWS - The Canadian Foreign Ministry, Wednesday announced its support to enhance the security and stability of Iraq, Jordan and Lebanon and to ensure accountability in Syria. "Today’s announcement is part of Canada’s Middle East engagement strategy, which includes $205 million in stabilization and security programming, the ministry said in a statement. Our objective is to significantly contribution to the Global Coalition’s efforts to dismantle and defeat the Daesh group, restore stability and promote regional security, it said. "Canada will contribute an additional $2 million to support U.S. Department of State efforts to clear improvised explosive devices (IEDs) in areas liberated from the Daesh group in Ninewah and Anbar governorates " the statement added. 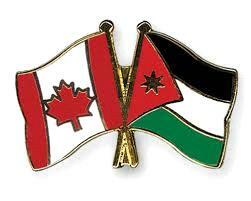 The Canadian government will also allocate $2 million to increase the Jordanian police’s capacity to respond effectively to terrorist threats and violent attacks. It will train 40 female officers in the use of firearms and in tactical searches, as well as holding workshops and training to enhance digital literacy among women. "A $2.8 million project will bolster the Lebanese Armed Forces’ ability to secure the highly unstable Lebanese town of Arsal, located close to the Syrian border, against terrorist threats and violent extremism," the statement added.